Quality lightweight Typhoon S3 watersports shoes. The Typhoon S3 Pull On Shoe gives you a 3mm neoprene layer of warmth and protection during watersport activities. The Typhoon S3 pull on shoe is easy to get on and off, and is secured with a velcro strap to make sure it stays on every time. 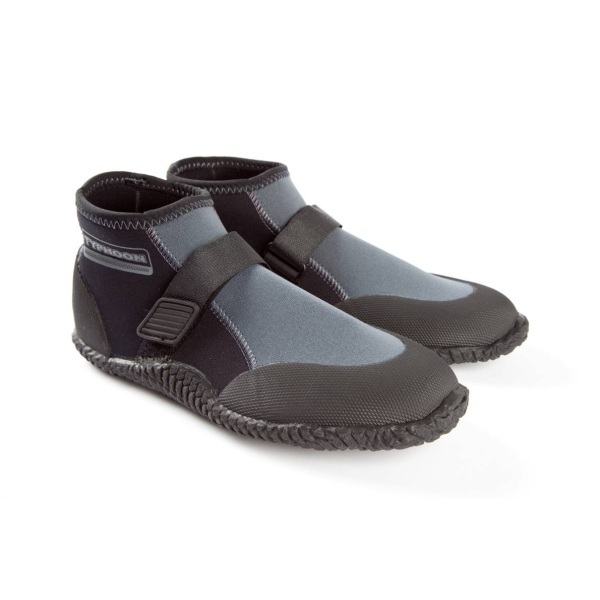 A brilliant cross between the neoprene boot and a conventional aqua shoe. A superbly designed and great looking 3mm neoprene pull on shoe ideal for surface watersports or beach use. Especially suited to Canoeing and Kayaking when you want your water protection but want to dispense with a conventional heavier boot. Made from super flexible 3mm neoprene with elasticated ankle adjustment including robust velcro fastening.